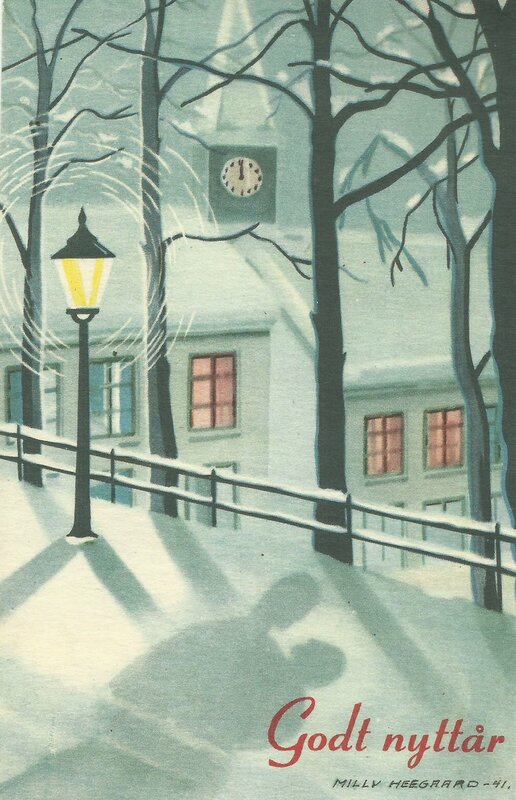 New Year card from Norway by the grandfather of the author. Central Sector: Russian troops recapture Staritsa (48 km northeast of Rzhev), which has been destroyed by the Germans. East Indies: Japanese troops land on Labuan Island. Britain: 58 miners killed in explosion in colliery in Burslem (Staffs.). USA: Ban on sale of new private passenger cars and trucks, to conserve steel. USA: UNITED NATIONS DECLARATION SIGNED in Washington: 26 nations pledge themselves not to make separate peace agreement and to commit all their resources in struggle against the Axis. France: Petain broadcasts a request for relaxation in severity of German occupation policies.